Tropical surrounds at Casa de la Flora villas, Thailand. Style, modern luxury and natural beauty combine to create these super sleek beach villas at Casa de la Flora in Khao Lak, Thailand. 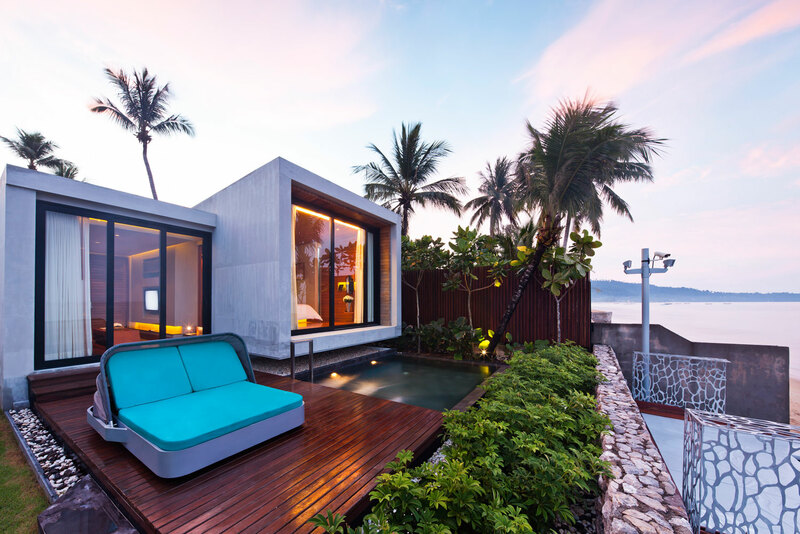 Overlooking the cool blue waters of the Andaman Sea, Casa de la Flora is the first stylish resort to open at Khao Lak. In fact, the 36 cube-shaped, glass-and-concrete villas appear downright futuristic against the older Asian inspired resorts here. Inside a different story unravels with golden-coloured hardwoods, modern furnishings, his-and-her rain showers, huge terrazzo tubs and terraces with plunge pools. A tranquil spa, breezy beach side restaurant and neon-lit pop-rock INGFAH bar are enough to entertain most guests. If not borrow a bicycle and explore the sleepy roads of Khao Lak with its laid-back locals, cowboy bars and superb Thai restaurants.